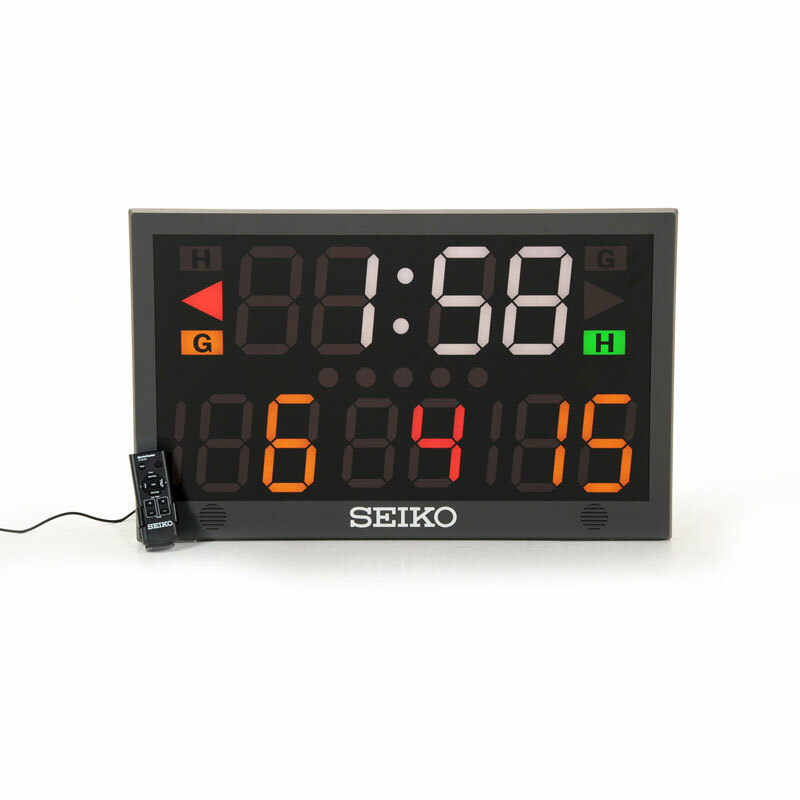 Seiko KT-601 Sports Counter, a table top scoreboard suitable for multiple sports including basketball, volleyball, table tennis, badminton, boxing and wrestling etc. Also can be used as a pacer for training etc. Can be used as a stopwatch, countdown timer or pacer. Programmable game timer counts up or down from 99.59 with scores for two teams up to 199. Buzzer when timer reaches zero, or can be manually controlled. Dimensions: 48 x 87 x 56cm. with up to 4 other KT-601 units. * Sports Counter KT-601 is designed for indoor use only.